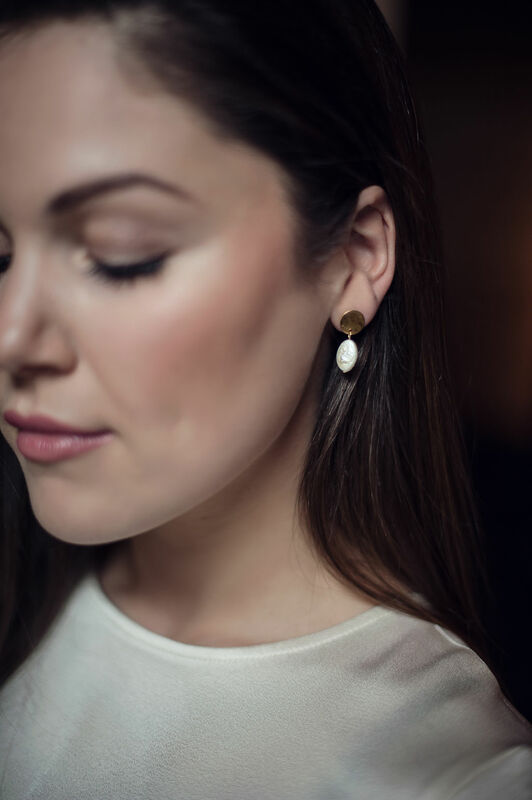 White earrings made of sweetwater pearls and silver-plated hammered brass. All Complimenti earrings are nickel free, limited and very lightweight. Free delivery within 7 workdays by Bpost, DHL or DPD within the EU. If you have any questions regarding a product, feel free to ask by mentioning the SKU number. 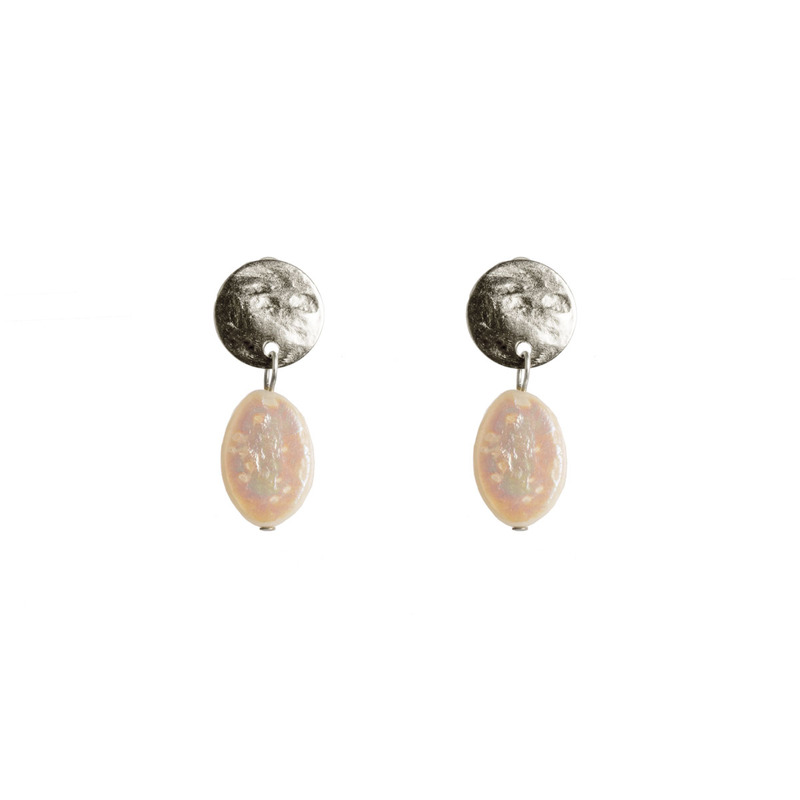 Every piece is unique with its natural marks. This is a sign of quality and natural beauty.